(1) G. Go 2 Bed O. Off D Lights O. Out O Tension D.
"My Last Minute Of The Day " Good Night. Dream Of Ur Sweet Sweet Smile. Good Night. Your Mind Wish You A Sweet Sleep. Good Night ! And A Prayer That Will Come True! 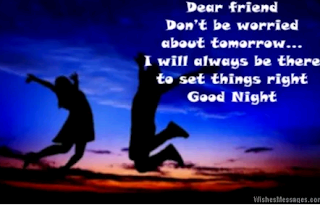 Gud Night...!